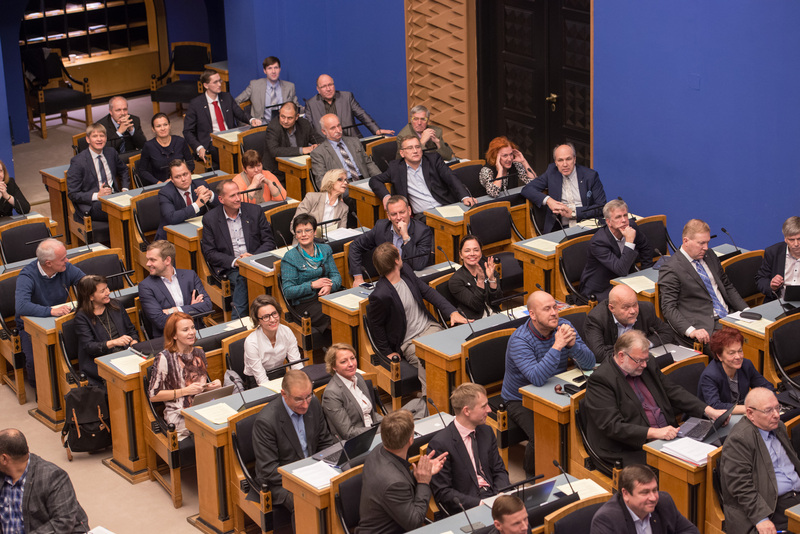 At Tuesday’s sitting of the Riigikogu, the Bill on Amendments to the Health Insurance Act (121 SE), initiated by the Centre Party faction, passed the first reading. It will enable persons receiving a pension for incapacity for work or an old-age pension to use the amount intended for the benefit for dentures for dental treatment. Under the current dental care benefits system, the state compensates to persons receiving a pension for incapacity for work or persons of over 63 years of age receiving an old-age pension for amounts paid for dentures to the extent of EUR 255.65 once every three years. However, EUR 19.18 per year is compensated to them for dental care services. “A situation has arisen where 63-year-old people still have their teeth, and they need not so much dentures as treatment of the existing teeth,” said Viktor Vassiljev who presented the Bill. In his opinion, this amendment will not require very large reorganisations, and the funds are there. The Chairman of the Social Affairs Committee Aivar Kokk said that the Estonian Centre Party Faction who initiated the Bill has not included persons with partial or no capacity for work among the persons who receive benefits for dental care and dentures, but they have been included in the legislative amendments due to enter into force with the entry into force of the Work Ability Allowance Act on 1 July. “This problem has been discussed more widely in the Government’s Action Programme for 2015–2019 and, in addition to benefits for dentures, it covers the programme for dental treatment for adults. The Ministry of Social Affairs will have to submit the Bill in April 2016. For fulfilment of this task, the Estonian Health Insurance Fund is drafting proposals to the Ministry of Social Affairs for integral solution of the issue of the payment of dental care benefits to adults, together with an assessment of the impacts resulting therefrom in the health insurance budget,” Kokk said. At present, benefits for dentures are used to the extent of circa EUR 7.5 million. According to Kokk’s calculations, with the addition of dental care, the expenditure in the budget would be circa 14 million in the case of this Bill. Vilja Toomast from the Reform Party, Monika Haukanõmm from the Free Party, Monika Haukanõmm from the Free Party, Mart Helme from the Conservative Peopleʼs Party and Helmen Kütt from the Social Democratic Party took the floor on behalf of factions during the debate. Toomast and Kütt admitted the importance of the compensation for dental care but they wished to wait for the Government’s Bill due this spring. Haukanõmm said that the Free Party supported the proposal of the Centre Party and waited for the steps of the Health Insurance Fund and the Government of the Republic to ensure the availability of dental care also for medium and low salaried people or those who have no health insurance at all. Helme supported the Bill and considered it reasonable to begin the resolution of the problem with compensation of pensionersʼ dental care. The Bill on Amendments to the Maintenance Allowance Act (115 SE), initiated by the Estonian Conservative People’s Party Faction, was intended to give children who are under guardianship a possibility to receive maintenance allowance. Under the current Act, maintenance allowance is paid only on the basis of a relevant application of a parent of the child. Raivo Põldaru who presented the Bill said that the Bill was intended to ensure that children who are under guardianship are treated equally with children who have been abandoned by their parents. The Legal Affairs Committee moved to reject the Bill at the first reading. Member of the Legal Affairs Committee Kristjan Kõljalg said that, differently from parents, a guardian does not have the obligation to provide maintenance to the ward, and therefore payment of maintenance allowance to the guardian would not be relevant. “Instead of that, the State Family Benefits Act provides for foster care allowance in the amount of EUR 240 which is paid monthly to a child without parental care if he or she has the right to receive child allowance and if guardianship has been established for him or her. This allowance ensures a minimum maintenance for a child, if guardianship has been established for him or her, for the period when the guardian is applying for maintenance in favour of the child from his or her biological parents,” Kõljalg said. He added that maintenance allowance is EUR 96 per month and it is paid for 3 months. The result of voting: 53 members of the Riigikogu in favour and 32 against; thus the Bill was rejected at the first reading. 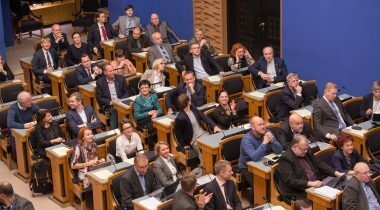 The Bill on Amendments to the Political Parties Act (144 SE), initiated by the Estonian Centre Party Faction, was intended to lower the age for being a member of a political party from 18 years of age to 16. The Constitutional Committee moved to reject the Bill at the first reading. Member of the Constitutional Committee Mart Nutt said that the problem will not be 16-year olds being members of political parties but a problem will arise when a 16-year old is elected to the board of a political party. “If a specification is made that he or she can be a member of a political party but cannot be a member of the board, the question will arise whether his or her rights are not restricted in that connection,” Nutt said. “Persons with the right to vote do not face the issue of economic liability, but when a person is a member of the board of a political party, economic liability arises. Persons of 16 to 18 years of age do not have full active legal capacity. They have partial, restricted active legal capacity, i.e. they must have a guardian. Therefore, such person cannot be a member of the board or make decisions pertaining, for example, to the proprietary liability or economic issues of a political party,” Nutt explained. Martin Helme who took the floor on behalf of the Conservative People’s Party in the debate did not support the Bill and said in justification that young people can participate in political parties through the youth organisations. The result of voting: 59 members of the Riigikogu in favour and 23 against; thus the Bill was rejected at the first reading.